The web-based Reading Club Management Solution is designed to reduce the administrative burden around a library’s annual summer reading requirements. It streamlines the registration process, enabling front-line staff to focus more on building “a love for reading” with participants. It includes functionality for custom registration, ILS integration, activity tracking, qualitative/outcomes feedback, reward/badge/prize management, and summary reporting. It sits on the same platform as other CO solutions, permitting broader data integration along with minimizing ongoing staff training issues. Being web-based, it requires no investment in hardware and little to no IT support. "Listening to the Voice of the Customer"
LibSat is the first continuous web-based Customer Satisfaction Survey Solution specifically developed for academic and public libraries, regardless of size. Unlike point-in-time surveys, LibSat provides immediate and continuous results with the added flexibility of longitudinal analysis and internal/external benchmarking. LibSat delivers unparalleled insight for planning and responding to library customers’ needs, and for measuring the impact and outcomes of management efforts and initiatives. LibSat includes professionally designed online (paper compatible) customer satisfaction survey modules and integrated real-time reporting. LibSat provides library managers with ongoing insight into customer feedback to assist in prioritizing and improving a library’s quality of service. 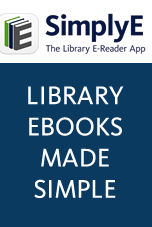 Authorized library staff have real-time access to all customer data and reports. LibSat for public libraries is currently available in 9 languages. White Paper - "Listening to the Voice of the Customer"
InformsUs is an advanced web-form builder tool enabling the comprehensive development, deployment and management of an unlimited number of custom forms and surveys with the ability to share data between forms and integrate with both LibSat and LibPAS for a wide range of library-specific applications. CO’s quantitative metrics management platform,LibPAS (Library Performance Assessment System) enhances both academic and public library productivity and advocacy with a flexible metrics gathering, reporting and management solution. Libraries can now integrate multiple data sets from disparate sources on one platform. As library data specialists we are oftentimes asked to work on custom assignments - from replacing legacy systems to creating and implementing new solutions - academic, public, state, association. Examples include: ACRLmetrics and PLAmetrics - custom deployments for the effective data capture/reports sharing/benchmarking of national library data designed to support local library operational excellence and advocacy.